A mouth watering sandwich you can fill with your favorite sandwich meats and cheese. Spray counter lightly with non-stick cooking spray. Combine rolls and roll into a 13 inch circle. Place on a sprayed 12 inch pizza pan. Make several indentations, with finger tips, in dough about 1 inch apart. Brush with olive oil and sprinkle with Italian seasoning. Cover with plastic wrap and let rise until double in size (about 1 hour). Bake at 350 F 15-20 minutes or until nicely browned. Remove from oven and let cool. 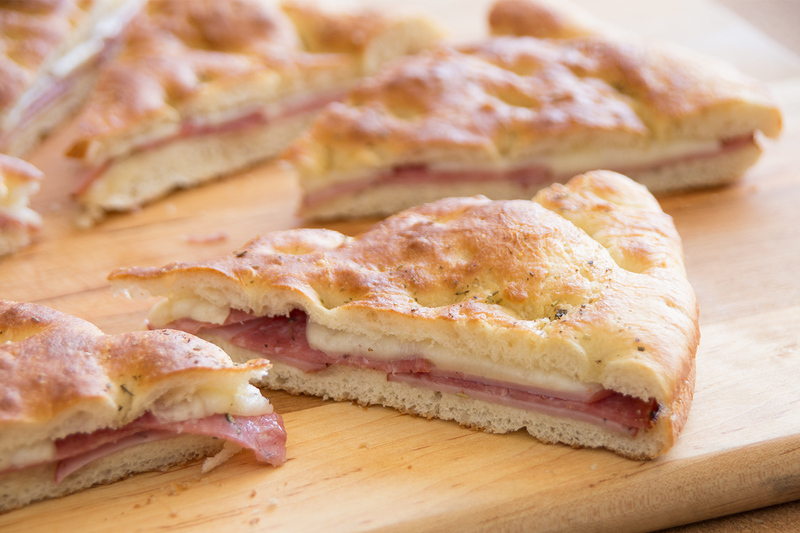 Slice in half and fill with salami, Canadian bacon and cheese. Serve with marinara sauce for dipping, if desired.